Hi guys welcome to my blog. 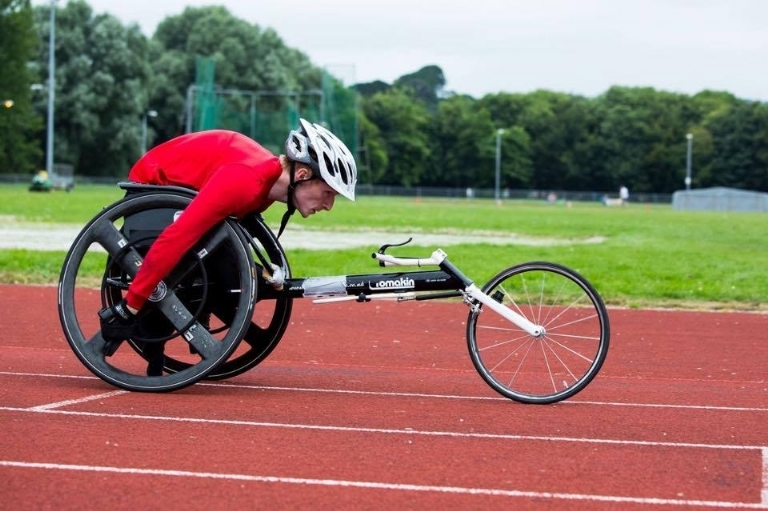 My name is Ben Oliver, I’m a wheelchair racer from Cornwall. My main ambition is to compete at the 2020 Paralympic games in Tokyo. I am sponsored by Bridge Bike Hire in Wadebridge, through their generosity a new race chair has been purchased. This allows me to compete against the world’s best by putting me on equal ground technology wise with everyone else. My main goal this year is to try and qualify for the World Championships in London which take place during July. For the World Championships the only event open to me will be the 100m. This is due to my classification (T33) only being offered this event by the international governing body. Although 100m is not my strongest event this does not deter me from attempting to qualify and I will do my best to get selection. Currently I am in training for the English championships on the 27th May and the British Wheelchair Racing Association Grand Prix in June. These events includes the 100m, 200m, 400m and 800m. The goal at the moment is to focus on the 100m as this is the only event which will count towards selection. These next few weeks I am training to improve my speed off the line and the acceleration afterwards as I’ve found that my initial speed is often the weakest part of my race. Well thanks for reading everyone, I am planning to keep this updated every month from now so keep a lookout and will keep in touch soon. Cheers!